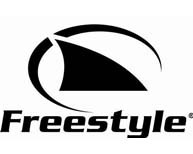 The American watch company Freestyle USA produces reliable and durable watches which are designed for athletes and fans of extreme sports such as freestyle skiing, snowboarding, surfing and skateboarding. The company's products first appeared on the market of the watch industry in the 80s of last century. In making its products the company uses high-tech materials, which together with the avant-garde design make the models of sports watches in the essential and valuable attributes of everyday life. Over 30 years the company has released numerous collections, consisting of male and female models of watches with specific technical parameters that correspond to dive watches. Model Killer Shark Clear from the collection of Shark is a diver's watch with water resistant up to 100bar. Case's diameter is 48 mm. Strap made of durable polyurethane. Watch is equipped with a movement with alarm function and chronograph. The dial shows the date and temperature data. The line of men's watches Mens Stride is a new model, whose dial shows the time in dual format. Case's diameter is 47 mm. The model is fitted with an alarm clock and calendar. Water resistant is up to 100bar. Perfect design of the colorful collection of Blush Womens is a hit of the season. Water resistant of model is up to 200bar. Case's diameter is 42 mm. The dial is equipped with a 24-hour counter, a digital watch and indexes are covered with luminescent coating. Strap is made of durable polyurethane. The range of lines of complicated function display outflow / tide over the next 15 years to 75 the coast, located around the world, dual time zone, and two alarms. Watches are equipped with additional function displays the time large numbers with an application in the form of an animated shark. Water resistant is up to 100bar of the model. The display is equipped with night vision movement. The versatility and high technical parameters of the models can be a great excuse to buy a watch of Freestyle company and keep abreast of the times.